Each month, Barrier Islands Free Medical Clinic, a free clinic in Charleston, SC, shines a spotlight on one of our many exceptional volunteers. From medical staff to voluntary file clerks, BIFMC is able to provide a warm, caring and expert primary medical home to hundreds of uninsured patients. The residents and workers of our Lowcountry community are cared for and kept healthy due to the commitment of our volunteers. This month, we celebrate Kiwanis Mitchell! Kiwanis joined BIFMC as a volunteer two years ago and helps with multiple tasks around the office and front reception desk. 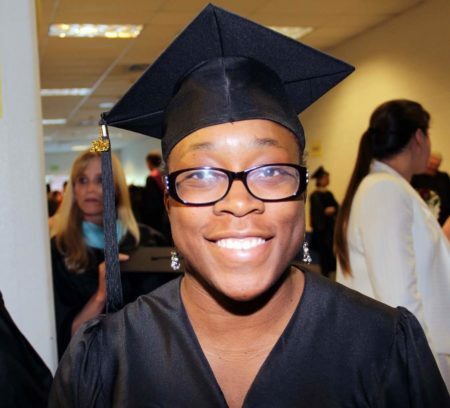 Kiwanis holds a Bachelor of Arts in English from Newberry College (’08), an Associate’s of Administrative Office Technology with a Medical Office Specialist Certificate from Trident Technical College (’18) and is currently enrolled at Trident’s Coding Specialist Program (Medical Coding). How did you learn about BIFMC? Were you actively looking for volunteer opportunities at the time? I learned about the free clinic from others in my community, and I was looking for volunteer opportunities at the time. What is it about BIFMC’s mission that appeals to you personally? I love that BIFMC has a positive influence in the community and aims to help others from all walks of life. How has volunteer work had an impact on your life? Volunteering at the clinic has strengthened my desire to give back to my community, as well as define my personal growth through networking and future career opportunities. For me, it was the best of both worlds, because I love to stay busy and I have also taken an interest in the medical field during my time here. What would you say is the biggest misconception about the uninsured? Why are they an important part of the community to dedicate your time to? A misconception about those without health insurance would be that the uninsured are not as concerned about their medical health as much as someone who is insured. The uninsured are an important part of the community to dedicate your time to, because those who are uninsured also want to stay healthy and receive regular medical care. What advice would you give to those considering volunteering their time or donating a gift to the clinic? I would advise anyone who is interested and willing to volunteer their time at the clinic, or donate, because it is fulfilling. The staff is friendly, and you are a part of a team. Thank you, Kiwanis, for being a dedicated volunteer at Barrier Islands Free Medical Clinic! If you know and would like to nominate a current BIFMC volunteer, please email us; To thank a volunteer, please share this spotlight via social media! If you would like to learn more about how you can volunteer for Barrier Islands Free Medical Clinic, click here.